LANSING, W.VA. (October 4, 2018)—Environmental groups applauded a move to keep clean water protections for the Ohio River. 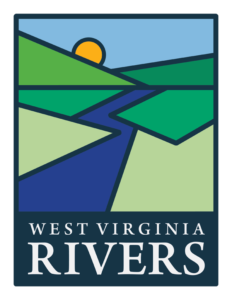 The regional body charged with overseeing the health of the river, the Ohio River Valley Water Sanitation Commission, today decided not to vote on a controversial proposal that sought to replace 70 years of regional cooperation among eight states bordering the river in setting pollution control standards. 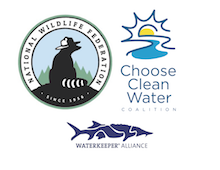 The commission stated they intend to continue deliberations on the matter, and conservation groups see this as an opportunity for more meaningful dialogue about its implications for the future health of the river. More than 5 million people depend on the Ohio River for their drinking water, and conservation groups staunchly opposed the move to outright scrap the current pollution-reduction arrangement. Massive public input in favor of regional cooperation helped convince commissioners to take a step back and reassess their options. After the meeting, conservation groups applauded the action by the commissioners and by the governors who appointed them, including Govs. Bruce Rauner (Ill.), Eric Holcomb (Ind. ), Matt Bevin (Ky.), Andrew Cuomo (N.Y.), John Kasich (Ohio), Tom Wolf (Pa.), Ralph Northam (Va.), and Jim Justice (W.Va.). “This is a positive step for the Ohio River and the 5 million people who depend on it for their drinking water, jobs, and way of life. We thank the commissioners and governors who decided to take a step back to assess the consequences of overturning 70 years of collaboration and cooperation around pollution standards. We also thank the over 6,500 members of the public for standing up and advocating during the comment process for a clean and healthy Ohio River, which is the foundation of our environment, economy, and regional identity. “Serious problems such as sewage contamination, toxic pollution and harmful algal blooms continue to threaten the Ohio River and its many communities—and we firmly believe that the most effective, efficient and fair way to prevent pollution into the river is to work together. Pollution that enters the river upstream can impact communities downstream, which is why we need consistent, strong protections to protect people no matter where they live along the river.